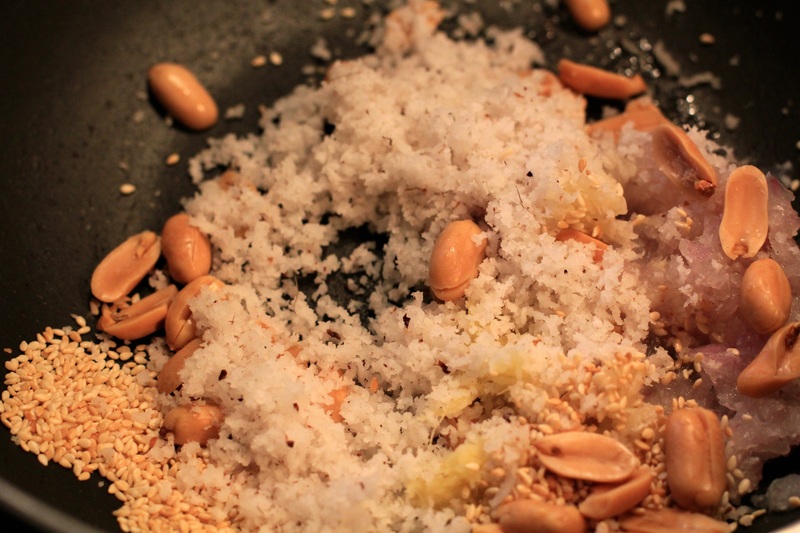 Three ingredients which you will find in a lot of Marathi dishes are grated coconut, sesame seeds and peanuts. They don’t always come together in every dish, but when that happens, like it did when I was making a stuffing for eggplants, they become a happy trio! This entry was posted in Marathi cuisine and tagged coconut, home food, Marathi cuisine, peanut, sesame seeds. Bookmark the permalink.